Two senior big cat experts have said that the recent deaths of lions in Gujarat have once again driven home the point that the Asiatic Lion needs a second home in India and those who have been opposing the same are criminally responsible for the recent deaths. “One must remember that genetic variation is very low among Asiatic Lions. Each animal is related to the other since they all descended from a small founding stock. Genetic variation is needed for resistance to disease. This being not the case, the alleles that should have been avoided, are being reflected. Since there is no resistance, disease (like Canine Distemper in this case) spreads more rapidly. These lions should be housed in different geographical areas so that they can develop new adaptation to their geography which can then reflect in their genetic structure,” the head of a major government body on big cats told Down To Earth on the condition of anonymity. “The issue of finding a separate home for the lions has been pending for decades, when it was first suggested. Our inability to do so has led to this,” he added. Ravi Chellam, a well-known authority on the Asiatic Lion was even more scathing in his attack. “The real question is, are we a law-abiding society? To so blatantly disregard the orders of the Supreme Court and endanger the future of the Asiatic Lions is just not acceptable,” he told Down To Earth. “People responsible, including the high and mighty have to be held accountable,” he added. 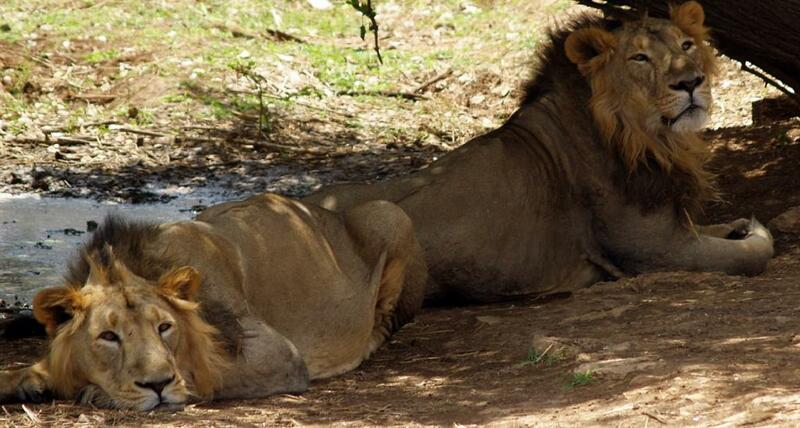 Between September 12 and October 2, a total of 23 lions have died in the Gir Wildlife Sanctuary and National Park. Eleven lion deaths were reported between September 11 and September 19. The dead included six cubs, three adult lionesses and two adult males. Between September 20 and September 30, 10 more lions died. All the 21 deaths within 19 days were reported from Sarasiya Vidi area of Dalkhaniya range in Gir (East) forest division in Amreli district. On October 2, two more deaths were reported in Gir. The deadly Canine Distemper Virus (CDV) has been found in 4 dead lions. Chellam does not support the overpopulation and genetics theories for the incidence of CDV among the lions. “CDV wiped out a record 1,000 out of 3,000 lions in the Serengeti-Masai Mara ecosystem in Tanzania and Kenya in 1994 in a matter of days. Surely, their population was more genetically variable than the Gir population,” he says. “We do not know the truth of the matter. We are just getting small amounts of information through media reports, which are based on information gleaned from official government accounts. Unless somebody does a thorough checkup of the data, with unfettered access, we will not know who is telling the truth,” said Chellam. In fact, as Chellam points out, CDV was detected in at least one case in 2013 as well.